less work. let me know what you think? the pll is an varil product that works between 300 to 1750 MHz. from what I see the input reference signal is 10MHz and the pic is 12f508. 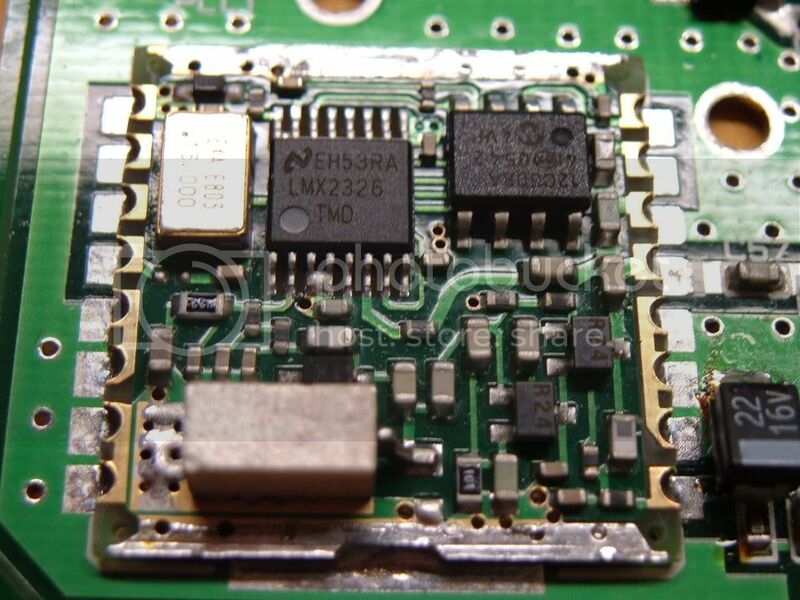 it looks like it uses a 3 wire interface like the lmx2430. but I don't know what input signal level it's looking for at the rf input? also it looks like it is not a duel type like the lmx2430. if you can find what register exist inside of the varil and what they do, this could be a replacement for the wavebuble pll. the pll is a lmx2326.